With spring in the air, viewers might be looking forward to season-appropriate TV rom-coms. If so, audiences are in for a major disappointment. Broadcasters MBC, KBS and SBS have beefed up their primetime rosters for March and April with historical romances. Of the three networks, MBC is the most invested in the genre, lining up two series ― “Goo Family’s Secret” and “Hur Jun, The Original Story” ― for every weekday night. Historical fantasy “Goo Family’s Secret” will be slipping right into the Monday and Tuesday night time slots of the current period piece, “The King’s Doctor,” come early April. Not only is this a remake that audiences are more than familiar with, viewer ratings of MBC’s “The King’s Doctor” indicate audiences may be tired of tuning into medical period pieces and, therefore, may not be interested in yet another tale of a royal physician. When “The King’s Doctor” first aired last October it was a ratings success, but recently the series has been battling SBS’ modern-day melodrama “Queen of Ambition” for top viewer shares, signaling that audiences are no longer as invested in the physician’s story and may not be keen on watching more real-life Joseon-era doctors in the near future. Furthermore, “Hur Jun, The Original Story” will be airing daily in a weekday 8:50 p.m. time slot, when most channels air news and variety programs. That means “Hur Jun” will have to be compelling enough to get audiences to change their viewing routine. By fate or accident, KBS is also hedging its bets on the medical period piece genre with “Chunmyeong” (working title). Slated to air Wednesday and Thursday nights starting late April, the upcoming series, however, promises to evade getting pigeonholed as a run-of-the-mill historical romance by infusing the genre with the high-stakes intensity of a thriller. The plot revolves around a government medical practitioner, played by actor Lee Dong-wook, who becomes the prime suspect in a plot to assassinate the king. An innocent fugitive on the run, the hero must also find a way to cure his daughter of a terminal illness. Aside from “Hur Jun” and “Chunmyeong,” two more historical romances are slated to go head-to-head on Monday and Tuesday nights starting April. In SBS’ “Jang Ok-jeong,” actress Kim Tae-hee will be tackling the role of Jang Ok-jeong a.k.a. 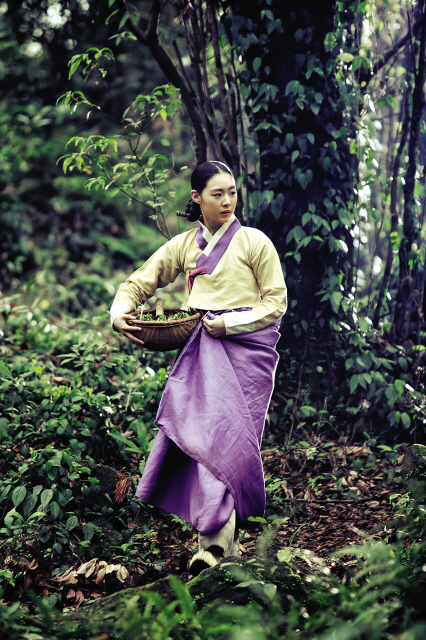 Jang Hui-bin, a historical figure who has been often portrayed as a Joseon-period villainess. The femme fatale who wormed her way into the king’s heart, climbed up the social ladder through endless scheming and plotting, and met her just end by being executed. The upcoming series, however, portrays Jang Hui-bin in a different light, with the future queen starring as the heroine of her own soap-operatic love story. Meanwhile, MBC contender “Goo Family’s Secret” will be taking on the newer historical fantasy genre with its tale of a Joseon demigod. Starring Lee Seung-gi and Miss A’s Suzy as the leads, the upcoming drama is being produced by prominent drama production company Samhwa Networks of “Bread, Love and Dreams” fame. Fellow “Bread, Love and Dreams” scriptwriter Kang Eun-kyung and “A Gentleman’s Dignity” director Shin Woo-chul are helming the drama. With a strong cast, production company and writer-director duo on board, the future looks bright for “Goo’s Family Secret.” Then again, it is following on the heels of “The King’s Doctor” and is slated to air around the same time as three other period pieces. Confident in the quality of the upcoming series, Samhwa Networks producer Park Tae-young summed up the allure of the period piece genre, pointing to the wide appeal of the period piece amongst audiences of all ages as a major strength. Another pro, said Park, was the creative freedom afforded by working on a historical romance in terms of costumes, props and other aspects as well. Of how the company came to produce “Goo Family’s Secret” and of the series’ charms, Park stated that the primary draw for the team to the upcoming series was that it was “quite believable,” with a strong historical foundation featuring fictional leads in a “what-if” scenario that audiences could buy into. Will audiences buy into a historical tale of a demigod? Even more, will viewers opt to watch period pieces over other modern-day contenders come spring? With four on the way, it will be interesting to see whether or not the genre still maintains the widespread appeal and popularity it has enjoyed in the past.